Nyan-Pusheen the Cat~. <3. 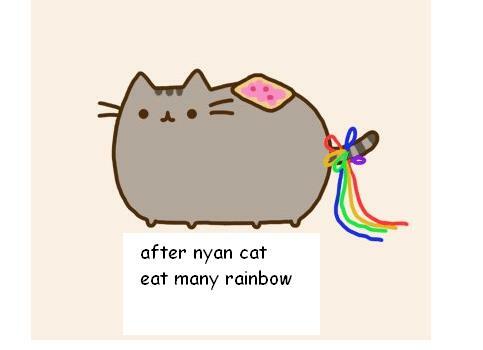 Wallpaper and background images in the Nyan Cat club tagged: nyan cat poptart lol rainbow fat pusheen nyan cat. This Nyan Cat photo might contain 维恩图, 维恩的图, venn图, and 维恩图的图. Ya they could have left the saying off... or put something like "just no" or "fail"